Dragon riding comes to Catacombs! Ride your hero's Wyvern to victory! Defend the wild lands of Wylemuir with new heroes, items and more! 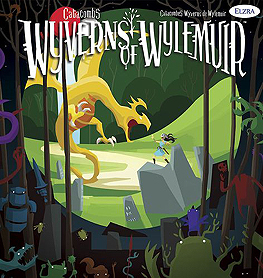 Includes eight mighty Wyverns for use in Catacombs and Castles! Introduces exciting "area of effect" templates for Wyverns' powers! Requires Catacombs Third Edition, or Catacombs and Castles to play!